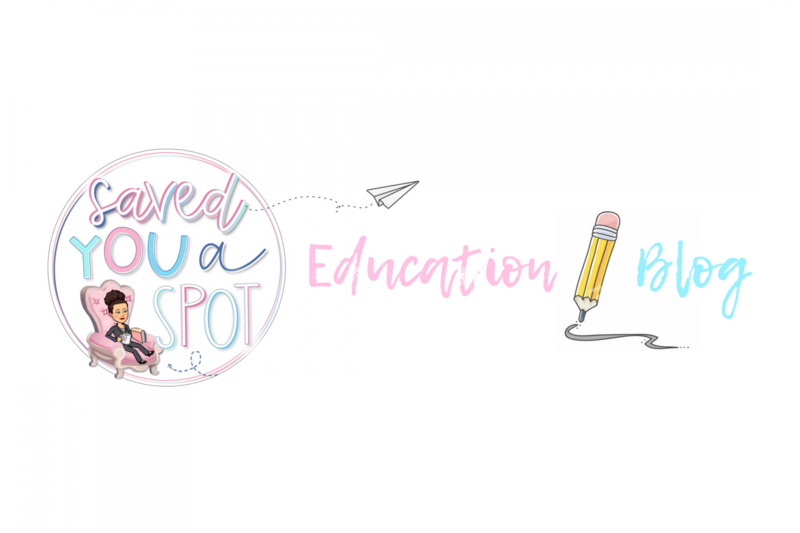 It’s been a week into school and it’s time to reveal this year’s classroom theme. Those who have been following my blog – a huge shout-out to my amazing 400 followers ❤ THANK YOU! 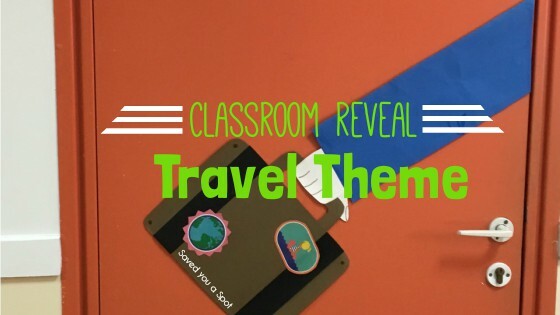 – you already know that this year’s classroom theme is TRAVEL! 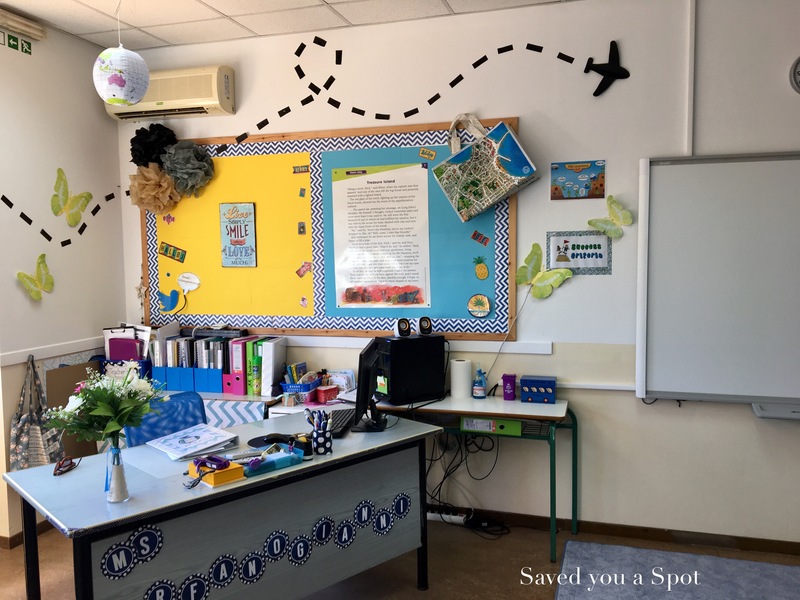 Obviously, inspired by my love for travelling here is a picture tour of my classroom. As you can see, I kept my blue and white chevron theme, with yellow accents just because I find it so fresh and welcoming. I am still not bored with it after two years, on the contrary probably even more in love with it! This year’s reading corner has been decorated with our class novel in mind. In Year 6, our class novel is the all time classic ‘The Lion the Witch and the Wardrobe’, by C.S.Lewis. 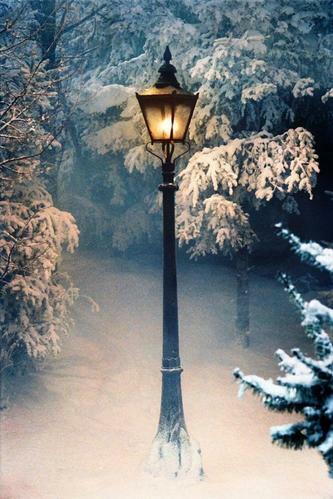 Browsing the internet for some inspiration I came across this image of a lamppost which is what triggered the Narnia theme. The lamppost is made from card and easily stuck on the air-conditioning plastic wire cover. 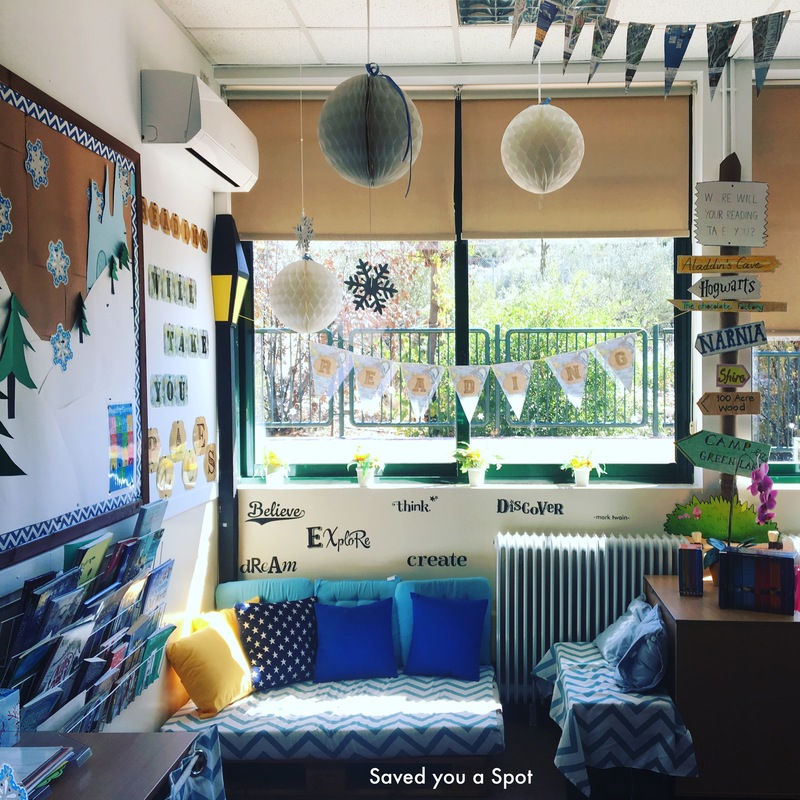 Of course our reading corner wouldn’t be complete without the reading signpost, which I had made last year notice I had to change Narnia’s direction 😉 and the super cute reading vintage map bunting with the fabulous quote: Reading will take you places found on Ms. G’s Room 30 Blog! Thank you! To inspire and encourage reading, I also gave them some travel-themed bookmarks, which can be seen and downloaded for free HERE. 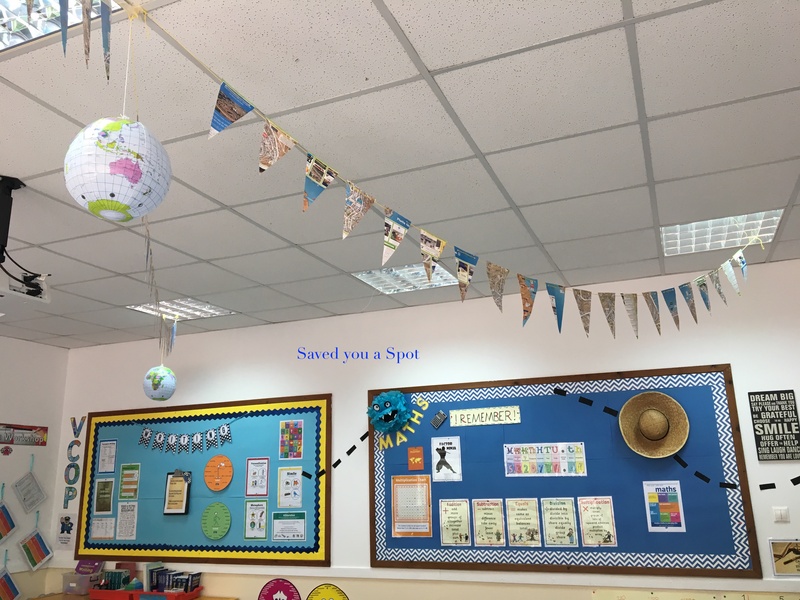 The ceiling is decorated with DIY map bunting made from: maps, string and sellotape. I am really into bunting this year, I don’t think I can get enough of it! It’s hung between 3 inflatable globes I bought on Amazon, and goes to the four corners of the room. So there you have it in a nutshell. 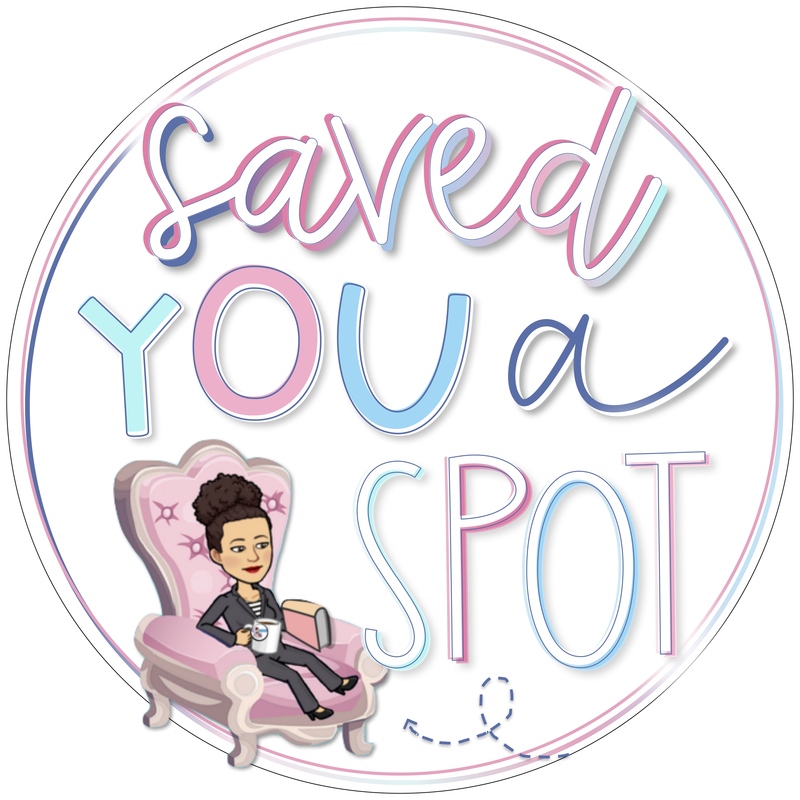 I hope you like it and it inspires you to create a theme for your classroom. 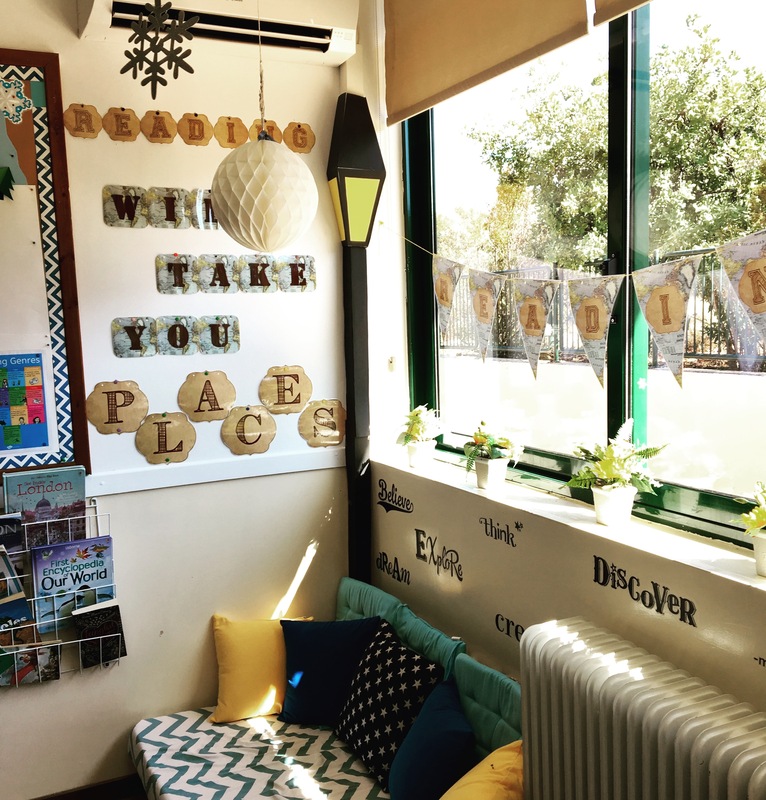 What’s your classroom theme this year? Leave a comment below with your thoughts and ideas. They are always appreciated. Our learning adventure has started and we can’t wait to take our minds to new places! Really lovely Peppi….and I totally adore the theme! This looks fabulous, Peppi. You are so creative! Enjoy! Your children will. What materials did you use for your flight path? Black card, cut in rectangles.